Glass and Crystal Plaques fully engraved for every event. These can be personalized to make your Awards unique. Engraving is all in house so we have complete control. Our specialist engraving team can engrave onto any surface and can make your Glass and Crystal Trophies look magnificent. 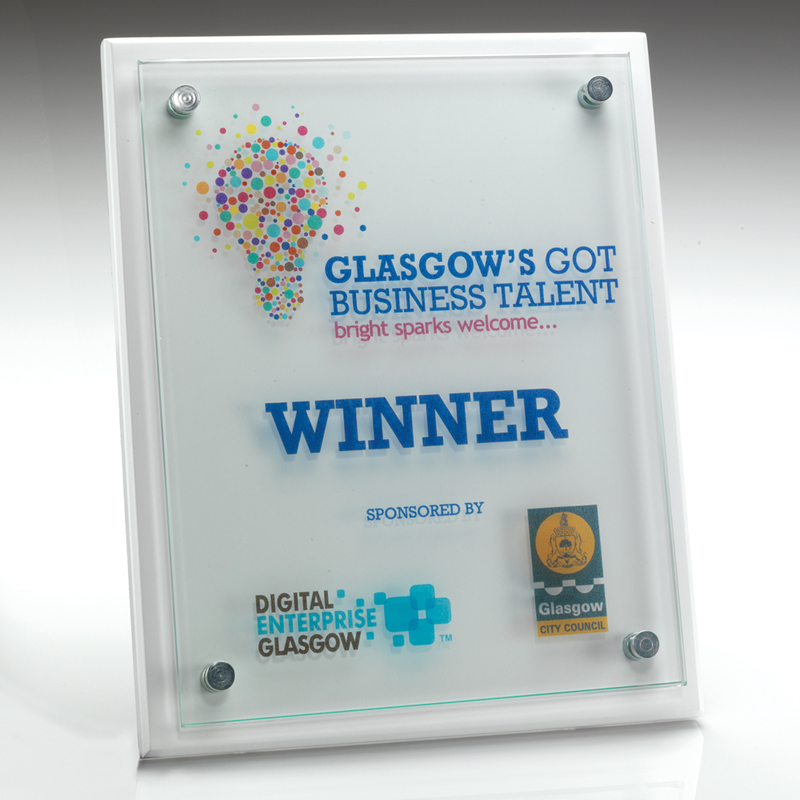 Most of our Glass Awards come with a presentation case included and all engraving is included in the price. There are no hidden extras with our Glass Plaque prices, what you see is what you pay. If you have been hunting for Glass Awards then you have landed at the right place. At Aford Awards we can laser sketch or sand blast your Glass Trophies to make them look unique to you. If you need Corporate Awards then the Glass Awards in this section really do hit the mark. If you have question on any of our Corporate Trophies range or our Glass Plaques section please call and we will be very happy to help. Please note that Black does not come out very well on coloured glass. Th appearance can be slight and not bold.